Good. Trade paperback (US). Glued binding. 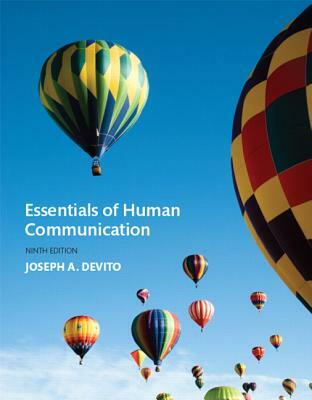 374 p. This text presents the fundamental skills of interpersonal, small group, and public communication, emphasizing the areas of human communication skills, cultural awareness, listening, critical thinking, power and ethics. In-text features highlight the application of human communication skills to the real world and to the workplace. Good. [ No Hassle 30 Day Returns ] [ Edition: Seventh ] Publisher: Allyn & Bacon Pub Date: 1/17/2010 Binding: Paperback Pages: 384. Good. [ No Hassle 30 Day Returns ] [ Edition: sixth ] Publisher: Allyn & Bacon Pub Date: 2/12/2007 Binding: Paperback Pages: 416.